Andy Murray has begun his preparations for the American hard-court swing. The British tennis star is yet to make a full-fledged return since pulling out of last year’s Wimbledon due to hip injury. He went under the knife earlier this year before making a three-match comeback (losing two and winning one). Murray, however, assessed he needs more time to recover as he withdrew from the just-concluded Wimbledon. As a result, the former world No. 1 has dropped to No. 839 in the latest ATP rankings. However, he is back on court, training for the next month’s US Open. Murray enjoyed a practice session with WTA No. 5 Elina Svitolina of Ukraine in London on Thursday. Svitolina, who was handed a stunning first-round defeat at Wimbledon, later took to her official Instagram account to share a picture of the duo following the session. 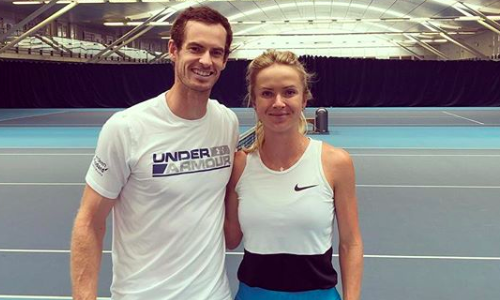 “Easing into the first day back with a little hit with @andymurray #pressure #nomistakes,” she wrote. Murray will launch his comeback at the Citi Open in Washington, beginning July 28.